Well, I hit the half-way point – whoa – how can I be half way already?! With my pregnancy with Ashton, it seemed to last forever. This time it is flying! I am so excited to meet this little girl, but I’m not going to lie, I am a little nervous at the same time. 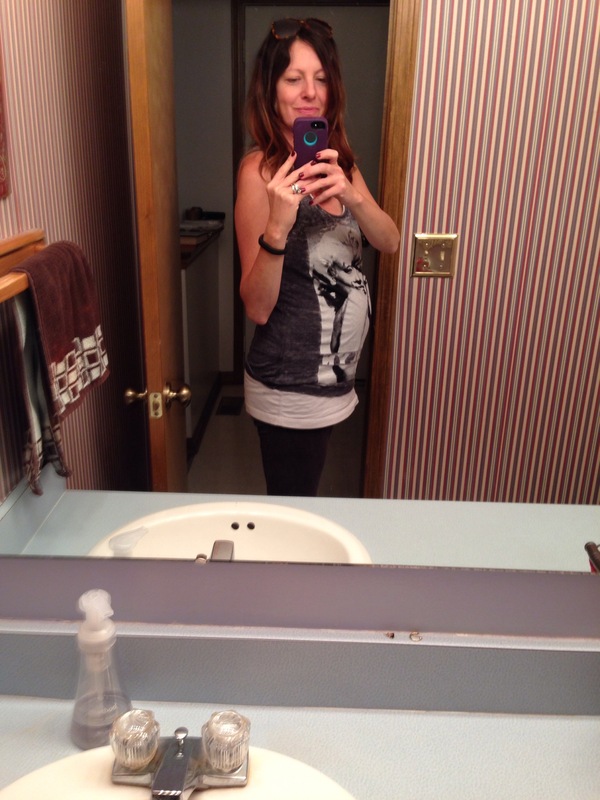 I am getting bigger and finding that maternity clothes are the only items that are comfortable. This last week I went through all of my clothes and old maternity clothes to see what would fit and what needs given away or put in storage. I didn’t need maternity clothes in the cold weather when I was pregnant with Ashton, so most of my maternity items are short sleeves or tanks. I did find that some of my non-maternity sweaters fit decently (for now), so that will be good now that the weather is turning consistently cooler. I am happy to report that the eczema (if that’s what was wrong) seems to have passed. I have been using CeraVe cream after my dermatologist advised it, and it seems to be working great. Maybe my skin was just super dry adjusting to the temperature changes. No nausea, no joint pain, sleeping decently (when Ashton doesn’t have a bad night)… I think I am in a sweet spot! The only negative is that if I don’t get enough sleep, it is like it ignites my hormones and I can/will cry at ANYTHING! I am feeling lots of movement from the baby girl and I love it. I actually could see my belly move when she kicked the other day. She also gave Ashton’s head a good kick when he was laying on my stomach yesterday, haha! I had a checkup and heard the heartbeat this week and everything was great! My blood pressure was a little low, but it typically is. We will keep an eye on it and any symptoms it might/might not cause. I actually remembered to take a photo to document the bump this week!